with Kaspersky Anti-Ransomware Tool for Business! 2018 is set to be crowned as the year of the crypto-ransomware revolution. And the new, improved 2019 Kaspersky Anti-Ransomware Tool for Business is FREE! This lightweight tool uses all the features of cutting-edge Kaspersky Lab endpoint protection technologies, such as cloud assisted behavior detection, to scan and block ransomware and crypto-malware immediately! And because it’s GDPR ready, you can trust that your data is processed and protected responsibly. Kaspersky Anti-Ransomware Tool for Business is capable of blocking both local and remote attempts to encrypt user data. It doesn’t matter which security software you use, Kaspersky Anti-Ransomware Tool works alongside it. In addition to malware objects, Kaspersky Anti-Ransomware Tool for Business can detect and block adware, pornware and riskware objects including crypto-mining software. Kaspersky Anti-Ransomware Tool for Business will help protect your business from one of the most dangerous cybersecurity threats. It’s built on the world’s most tested, most awarded security and is based on some of technologies used in Kaspersky Endpoint Security for Business. 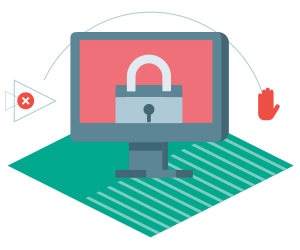 Download your free Kaspersky Anti-Ransomware Tool for Business today!